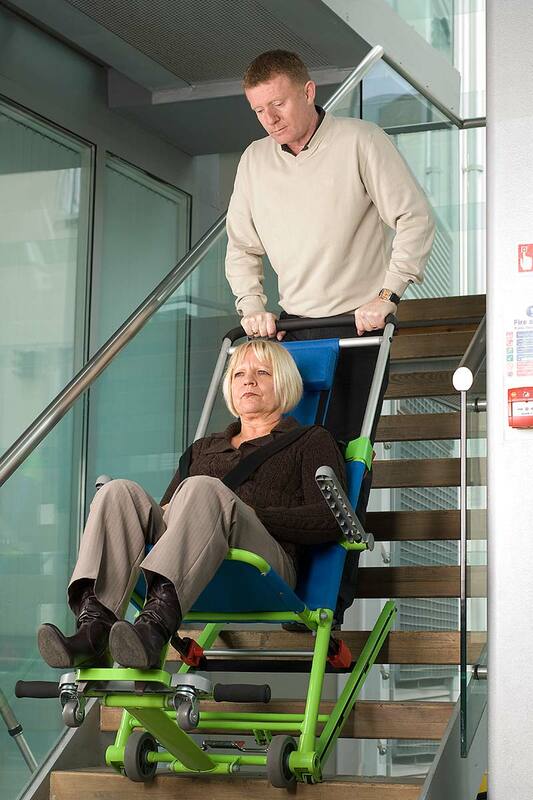 Excel Evacuation Chair - Advanced First Aid, Inc.
Every minute matters when it comes to saving lives. 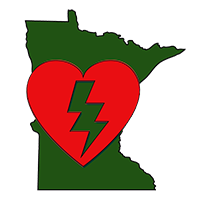 That’s why companies are turning to quick-to-deploy life-saving equipment like the Evacusafe Excel Chair. 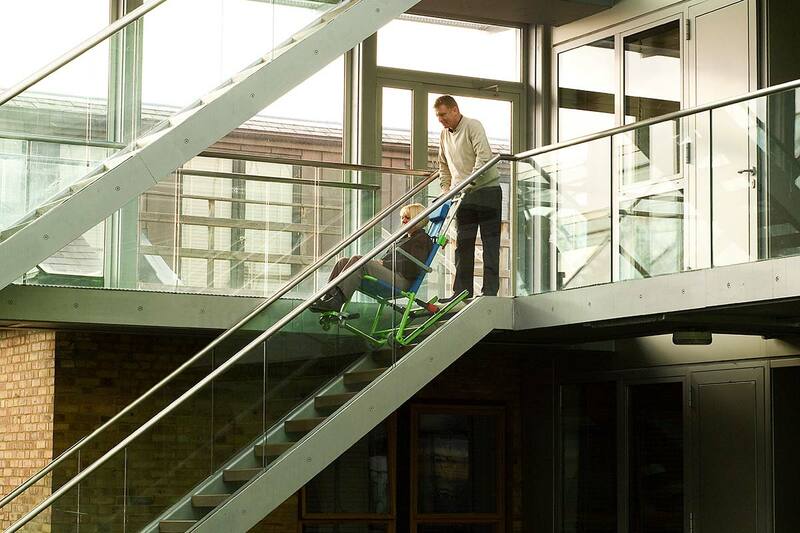 Evacusafe Excel chairs are designed specically to help people with limited or impaired mobility. Excel chairs are lightweight and easy to set up and use. 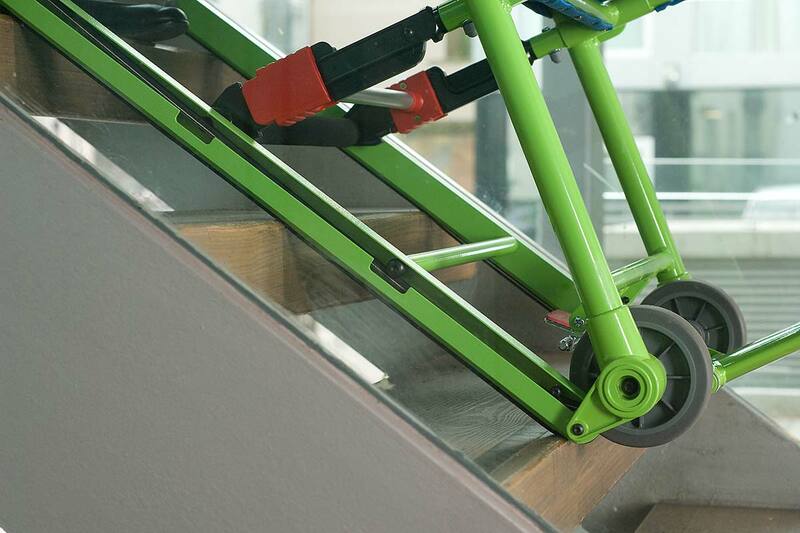 With a friction-controlled track for slow and controlled descent, the Excel easily glides down stairs, re escapes or at surfaces, with up to 400 pounds on board, no lifting or manual handling required. 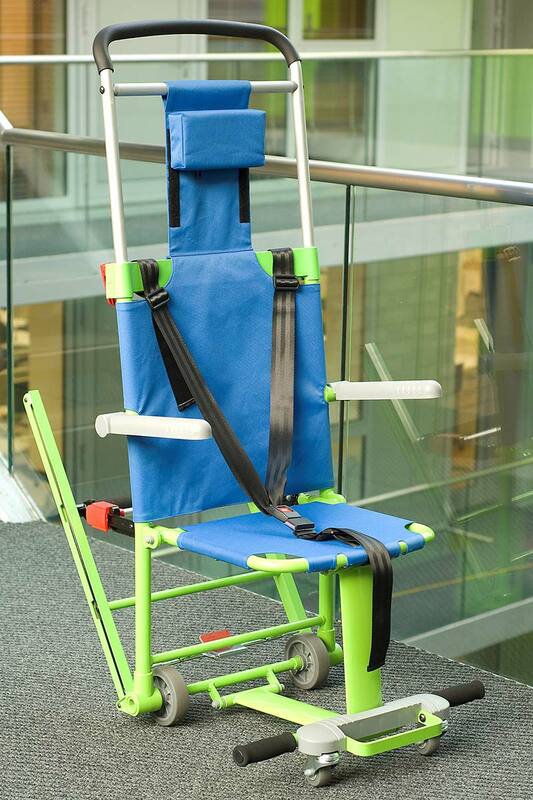 Once ground level has been reached, the Excel chair handles fold away and turn the device into a temporary wheelchair. With a supportive at seat base, armrests and padded headrest the chair offers comfortable seating for extended periods of time. When not in use, Evacusafe Excel chairs fold at for hanging. Each chair ships with a set of wall hooks, an “Evacuation Chair” wall sign and a sturdy, long lasting protective cover.